We’ve always been told that breakfast is the most important meal of the day. Well, who knows if this is true, but whether you’re a breakfast person or not, there’s something for you among these keto breakfast recipes. Whether you like something substantial, something on the lighter side, or even nothing at all, I cover the details on how to make your morning awesome. There is a proportion of the population that would probably do a lot better with a breakfast meal. Others would receive more benefits from a fat fast or a water fast until the afternoon. I am going to cover each of these scenarios in this article. Before we get to the keto breakfast recipes, how do you know if you should eat breakfast or not? Does it matter? I would say yes it does matter but it depends on your health status. For example, one large factor to consider is leptin resistance. Leptin is a hormone in the brain that regulates appetite and fat burning activity. Just like insulin resistance throwing off sugar metabolism, leptin resistance throws off fat metabolism. What many people don’t realize, is that leptin is actually largely tied to the circadian rhythm. This could be one explanation for why poor sleep is often associated with obesity (1). Eating too close to bed also throws off this rhythm and contributes to weight gain (2, 3). 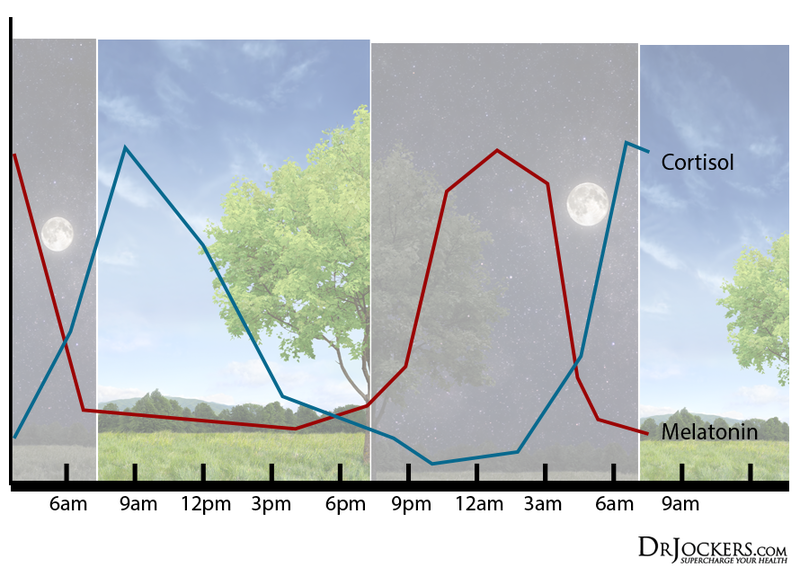 This means getting good sleep, in sync with the rising and falling of the sun, can improve fat burning. For a number of reasons, people can become leptin resistant and lose the ability to properly regulate fat metabolism. One proposed way of restoring leptin sensitivity is to consume a hearty meal in the morning in conjunction with sunlight exposure. Getting at least 25 grams of protein and limiting carbs are often emphasized. It is a good idea to also add in a source of healthy fats. The common eating pattern of high sugar AND saturated fat can also be a significant factor contributing to leptin resistance and obesity (4). Altogether, it seems like keeping a regular sleep schedule, following something that resembles a keto meal template, and not eating too close to bed all go a long way in optimizing fat burning hormones. To reinforce this idea, a recent study even showed that reducing carb intake lowered triglycerides. Elevated triglycerides are associated with leptin resistance (5). Another big way to help restore leptin sensitivity is to fast got longer periods of time. 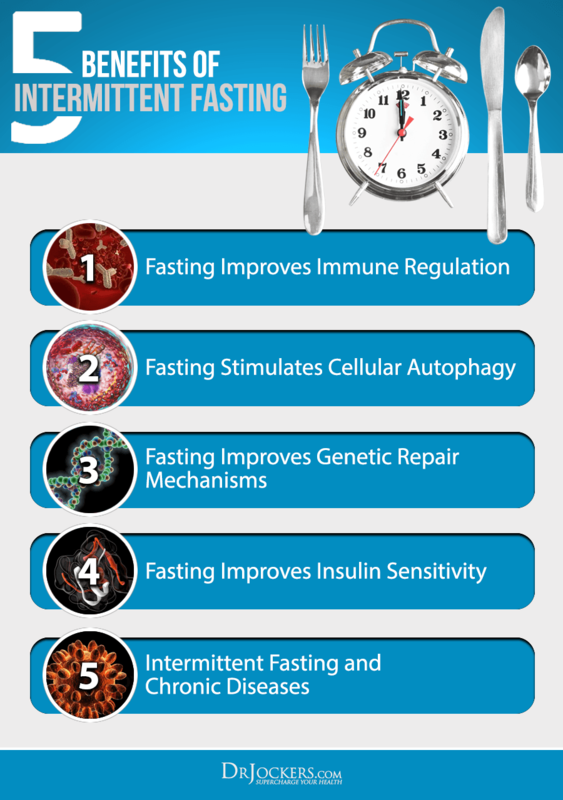 This is because fasting induces a process called autophagy. Autophagy is a normal process by which the body degrades and recycles damaged cells to build new ones. It has been observed that stimulating autophagy is important for maintaining leptin sensitivity (6). If you are leptin resistant, new to the ketogenic lifestyle, or just struggle with longer fasts, fat fasting can be a key strategy. Fat fasting is simply consuming fat without protein or carbs to support the formation of ketones and to satisfy hunger until later in the day. I have included a few keto breakfast recipes in this article that can be utilized during a fat fast. Using things like MCT oil, SCT oil, and grass-fed butter/ghee are all excellent for supporting ketone production and supporting gut health. Combining caffeine with fats is excellent for satiating the appetite and boosting ketones even further for a high performance morning. Before diving into any of these keto breakfast recipes, there are a couple morning rituals I must emphasize. The first is super hydration. Our bodies are under a higher toxic burden than ever before. Having a concentrated window of hydration in the morning is powerful for flushing out the digestive tract, liver, and kidneys first thing in the morning. Get in the habit of consuming between 16-32 oz of filtered or reverse osmosis water first thing in the morning before eating. Adding in a splash of lemon juice, apple cider vinegar, or a few drops of essential oils can all help increase the benefits of this morning practice. As I mentioned already, our metabolism and ability to burn fat are largely controlled by our sleep pattern. Also referred to as the circadian rhythm. Our bodies are designed to wake up with stimulation from sunlight and fall asleep in the absence of sunlight. Okay, now that we’ve discussed the fun technical stuff, let’s get into some of my favorite keto breakfast recipes. These recipes are designed to be tasty, filling, energizing, and anti-inflammatory. If you are attempting to restore leptin sensitivity or simply enjoy something to eat in the morning, these are some great options. This is one of the most popular keto breakfast recipes I have. It is a simple way to take everyone’s beloved morning cup of joe to the next level. It includes turmeric, cinnamon, MCT oil, and grass-fed butter for a super tasty, anti-inflammatory tonic to get the day started right. 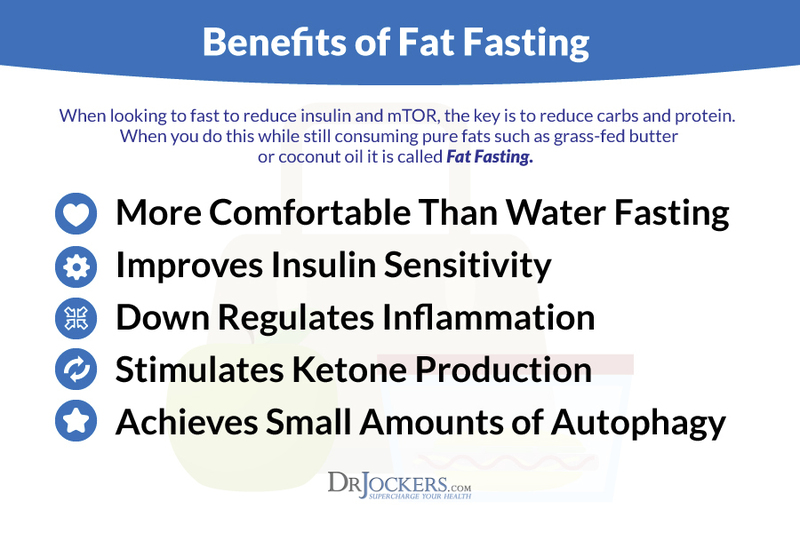 This is an excellent option if you are experimenting with fat fasting as it combines MCT with a caffeine source to ramp up ketone production in the morning. For added benefits and taste, you could even add in a scoop of Vanilla Bone Broth Protein for a vanilla turmeric latte. There are coffee people and there are matcha people. We don’t discriminate with our keto breakfast recipe options. 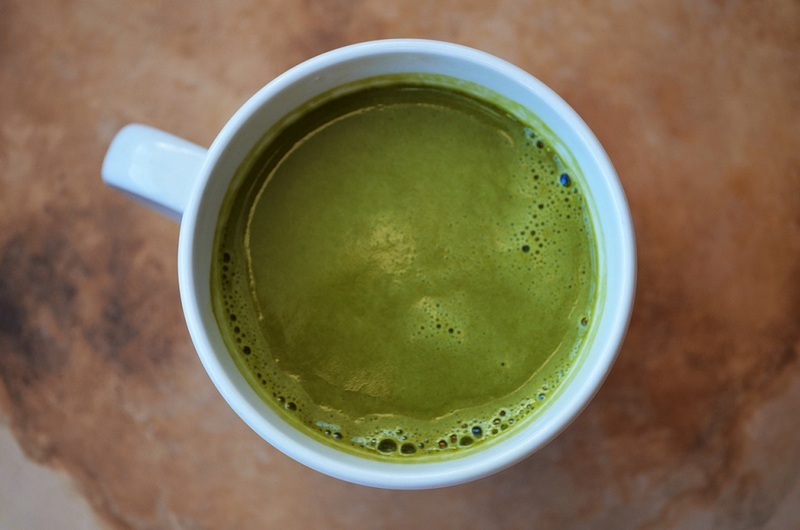 This Keto Matcha latte is creamy, filling, and loaded with anti-inflamamtory nutrients. This one is also great for people who like a boost in the morning but do not handle coffee well. Matcha is a green tea that is lower in caffeine while also containing the calming amino acid l-theanine which has been shown to promote calm focus. Similar to the turmeric coffee, this one can be great for a fat fast or turned into a meal by adding a scoop of vanilla bone broth protein! For a complete breakfast in a cup, this fat burning breakfast latte has got you covered. You use the base of your choice: coffee, matcha, dandelion tea, etc., add a couple of pastured eggs, some coconut oil or grass-fed butter, and your sweetener of choice. Blend it all up and you’re set for the morning! It might seem strange to put raw eggs in your morning coffee but trust me, it turns it into a frothy delicious latte. The pastured eggs also add lecithin and choline which are excellent for supporting memory and focus. If you don’t tolerate caffeine well, or simply prefer to avoid it, then this keto breakfast recipe is a great option. In place of coffee or matcha tea, this one uses dandelion tea. The flavor of dandelion tea resembles coffee to many people and has added benefits of supporting liver health! When it comes down to it, there are many ways to use a hot morning beverage as a vessel to get in a dose of healthy fats in the morning. Adding in a scoop of bone broth protein can be used for a more complete meal option and gut healing benefits. For a final breakfast beverage option, this almond milk hot chocolate is a delicious way to start the day. This one is a great source of healthy fats and mood boosting PEAs from cacao. Cacao is also great for boosting blood flow to the brain and aiding in creativity. I love a good hot chocolate when the weather starts to get cold outside. For added decadence sprinkle on some cinnamon and throw in some of these keto marshmallows. If you’ve been missing pancakes since you’ve been on a ketogenic diet, you’re in luck. This keto version is delicious and provides many health benefits from the healing spices and bone broth protein! There’s now even great keto alternatives to maple syrup like this one here. Instead of throwing off your blood sugar and inflaming your gut, these pancakes will assist with ketone formation and provide your body with healing nutrition. For another great pancake recipe, here are some super nutritious blueberry pancakes! These are loaded with fiber and probiotics to feed the beneficial bacteria in your gut. The blueberries provide powerful antioxidants that boost brain health and help to lower inflammation throughout the body. With only 4 net carbs per serving, you can enjoy a stack of probiotic blueberry pancakes while supporting your body’s ability to burn fat throughout the day. Toast with breakfast just makes sense to many people. It is something they’ve always done and are reluctant to give up. This keto almond butter bread only has 3 net carbs per slice and goes great with some pastured eggs and avocado! I often will just throw a nice big slab of grass-fed butter on a slice of this bread as a quick snack. Simply replace your old toast with a piece of almond butter keto bread and the keto breakfast recipe possibilities are endless. Beef gelatin is a great source of collagen protein. Collagenous compounds are important for connective tissues in the body. This includes the gut lining, skin, hair, nails, and joints. This lemon coconut pudding combines healthy-fat rich coconut milk with beef gelatin to make a fluffy whipped mousse-like pudding with a refreshing lemon flavor. Put this on a slice of keto almond bread, on your keto pancakes, or mix it with some keto granola for a more substantial breakfast option. Granola, another breakfast classic for many people. The problem with most granolas is that they are super high in carbs and contain inflammatory grains that can stress the digestive system. This one is super simple and uses coconut flakes, sprouted sunflower seeds, and sprouted pumpkin seeds. For flavor and added benefits, chocolate bone broth protein really brings this one together. There you have it, super simple. Try this one out with some plain yogurt or as a topping for the delicious bowls coming up later in this article. Omelets are an easy way to load up on healthy fats, herbs, and vegetables. You could really just throw some eggs in a skillet along with any other low carb ingredients and some healthy fats to make your own keto scramble. The keto breakfast recipe possibilities are endless. This recipe is for inspioration. I love this combination of tomato, basil, garlic, and bell pepper. It is super tasty and full of nutrition. Enjoy this with a side of avocado and you’re sure to be satisfied and energized for hours. The choline found in the eggs will support acetylcholine formation in the brain which is important for focus and memory! I love a good breakfast sausage. I am not a huge fan of pork sausage so I stick to meats like pastured turkey. This keto breakfast recipe is full of healthy fats, clean protein, and lots of antioxidant-rich herbs! Try these out in a scramble or with your tomato basil omelet and piece of keto almond butter bread! You will be full and energized until lunch time. Avocado pudding is a keto breakfast recipe I often enjoy personally. It is super quick to make, super nutritious, and tasty. You start with coconut milk and avocado for a base of healthy fats. From there, you add your keto friendly ingredients of choice. This one uses Banana Bone Broth protein powder, coconut flakes, and XCT oil for an added ketone boost. You can even make a coffee or chocolate version of this recipe simply by switching up different flavors of bone broth protein! Top it off with some keto granola and you’ve got yourself a hearty breakfast bowl! If you are someone who lives a busy lifestyle and like to prepare meals ahead of time, these keto protein bars are an excellent grab-and-go breakfast. They are full of healthy fats and protein to keep you full and energized until lunch time. There is a lot of room for customization with this keto breakfast recipe as well. After using the recipe to create a base, feel free to add in any additional ingredients you enjoy. My go-to ingredients are coconut flakes, cacao nibs, and a bit of cinnamon! Okay, this is definitely an underrated keto breakfast recipe. You get the delicious and refreshing combination of mint chocolate along with a dose of powerful green superfoods to start the day off right. You can add in your protein of choice and whatever toppings you’d like. If you haven’t thought of it already, the keto chocolate granola goes great with this one! Coconut flakes, cacao nibs, sprouted pumpkin seeds, macadamia nuts, or almonds all make great toppings as well. Donut holes are never something I thought I would be telling people to have for breakfast. This recipe makes it possible though. That is because these are made with coconut flour, coconut butter, a bit of vanilla, and keto-friendly sweetener. As it stands, this recipe is mostly fats and fiber. This can be a great fat fasting tool that is great for constipation that people often experience on a ketogenic diet. To make these more of a meal, simply add in some vanilla or chocolate protein powder! For those who are experiencing a lot of autoimmune and digestive complications, liquid nutrition is a powerful tool. This recipe features a powerful protein powder that includes many anti-inflammatory and gut healing nutrients. This also contains a full multi-vitamin and liver detoxification support. If you are dealing with leaky gut issues, this is a powerful keto breakfast recipe to ensure you are getting easy to absorb nutrients while easing the digestive load on your gut. 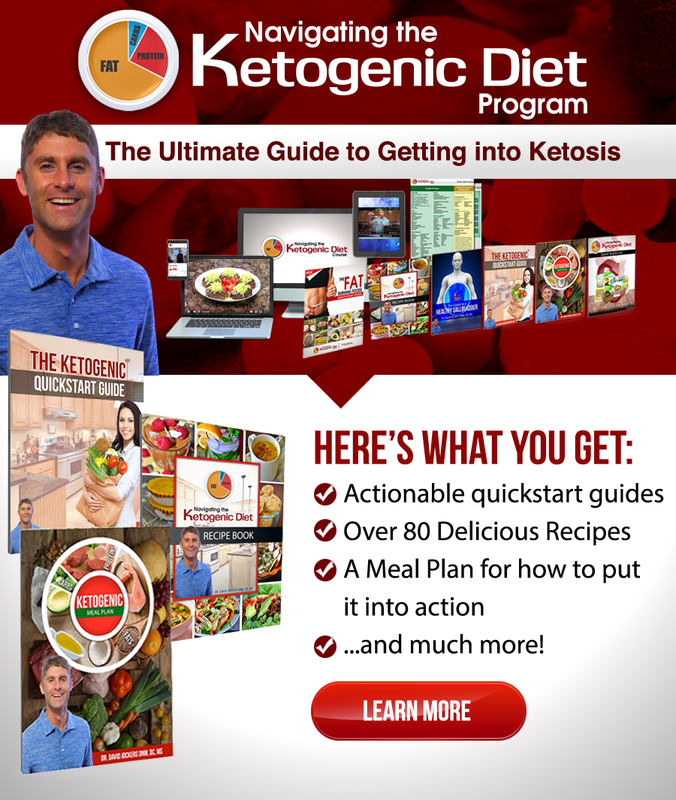 These are some of my favorite keto breakfast recipes and just a sampling of the keto meal plan that Is detailed in my Navigating the Ketogenic Diet online course. 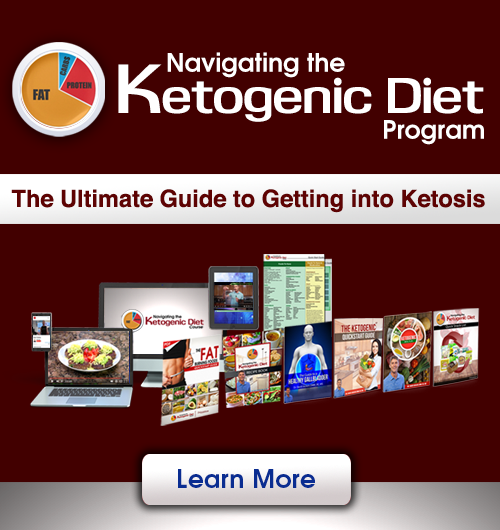 If you are new to a ketogenic diet or are looking for a comprehensive resource to assist you in achieving your health goals, this is it. I have spent years amassing the knowledge and information to put together this resource and I am confident it will be valuable on your journey. 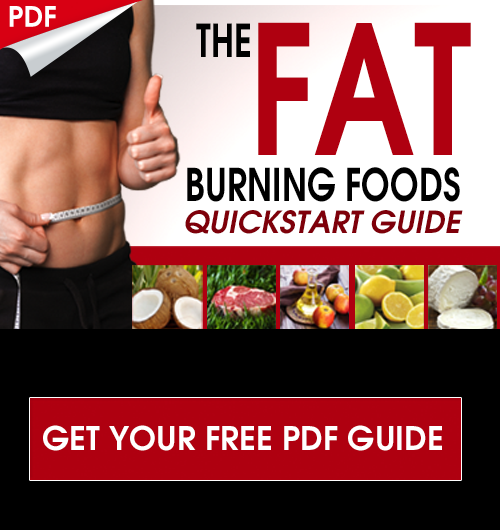 Within it you will find fat burning recipes, a meal plan, a shopping guide, and detailed guides for maximizing you body’s fat-burning and healing potential. Click the banner below for more information. So How do I find these Keto breakfast recipes?